My appreciation for vintage ceramics has evolved from following Lara Rossignol’s blog www.piewacketblog.com. My pairing for the top of the bookcase features 1960s circa flower pots from my in-laws garage and an original Mary Ann Boysen “kitchen window” series painting. 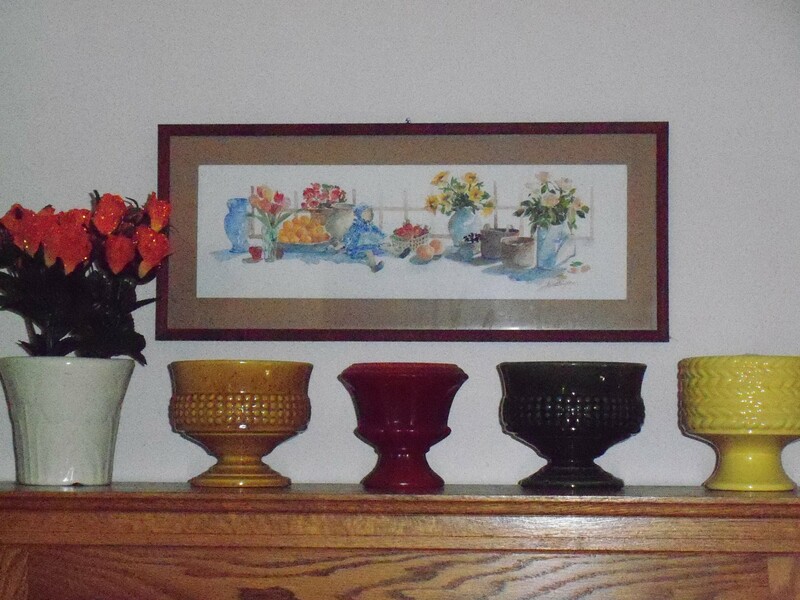 Accessorizing my still life painting with the vintage pots adds the third dimension and bold colors.